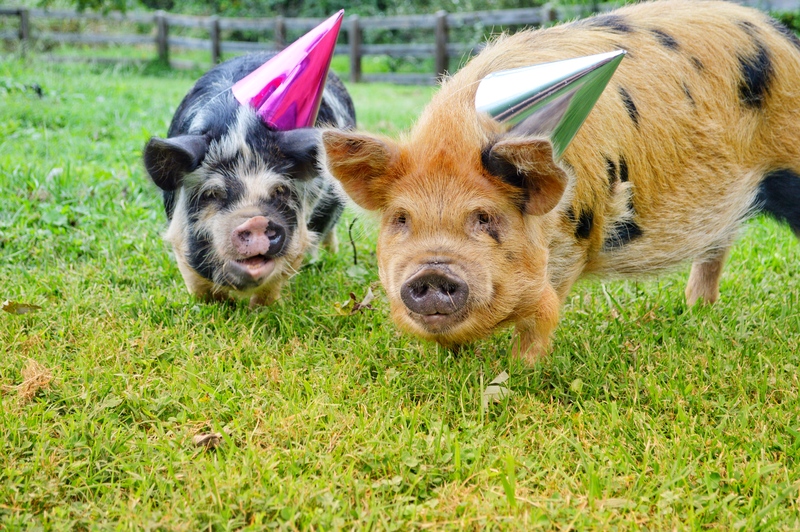 So pig party we did. 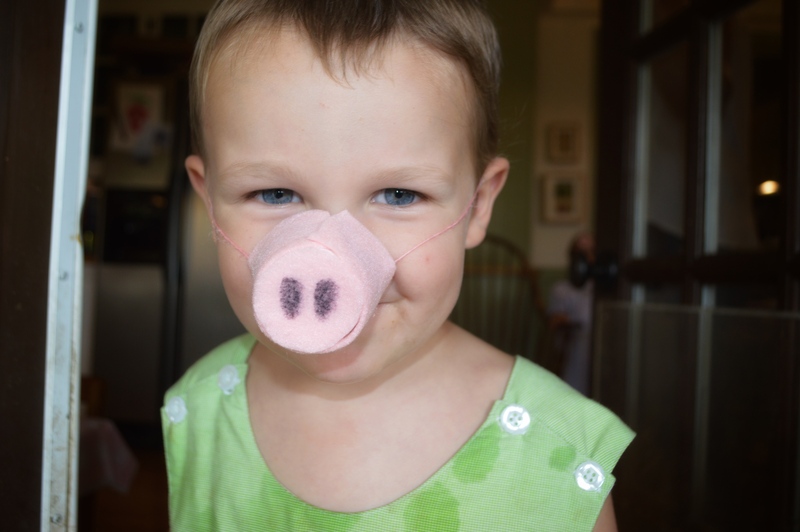 It was hysterical to see the little party guests walking around with pig noses! The party took place outside on the back porch and in the back yard. 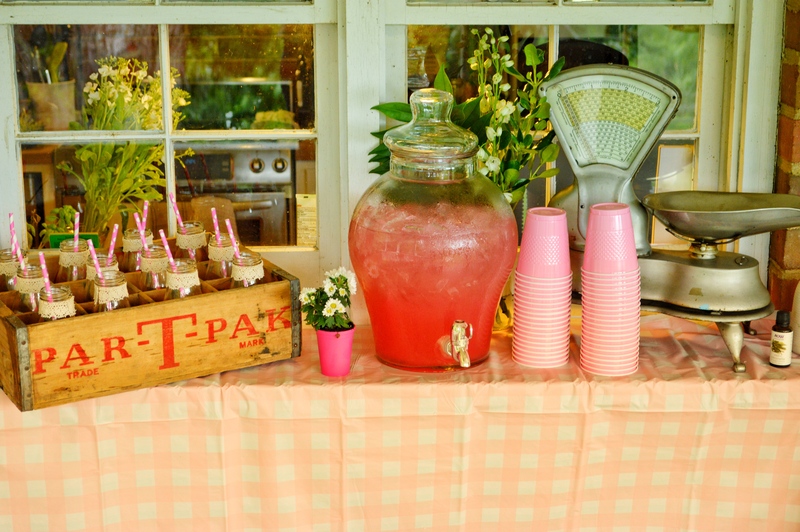 I channeled my inner Courtney Whitmore from Pizzazzerie and put together a drink station with a few farmhouse-y touches to go with the whole feel for the event. 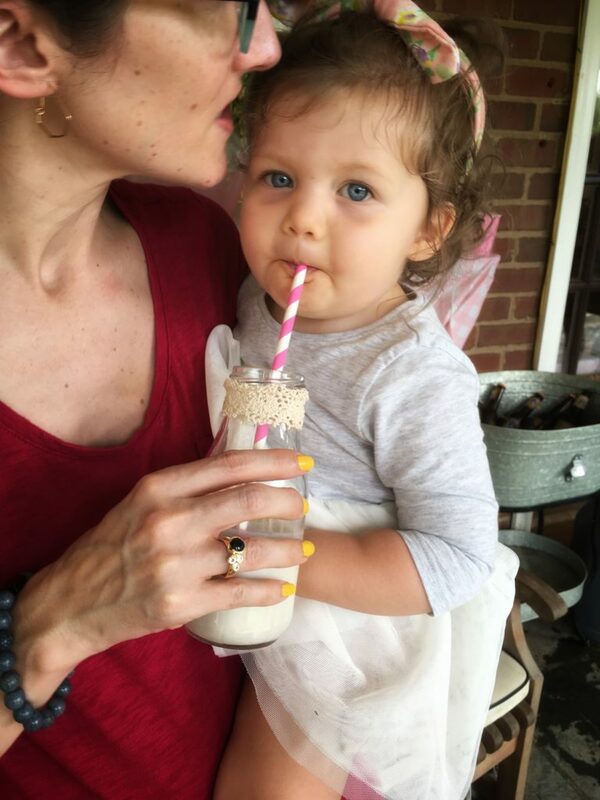 We had dairy-free milk in the milk containers that seemed to be a big hit with the little ones, and strawberry lemonade in the glass dispenser. 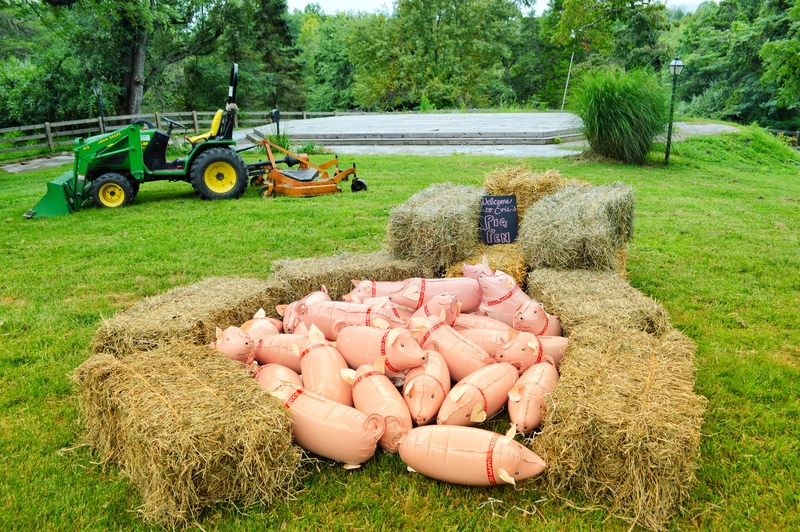 The main attraction in the back yard, other than Mr. Smee and Tinkerbell of course, was a “pig pen” full of balloon pigs and our next door neighbor’s tractor all set for climbing. 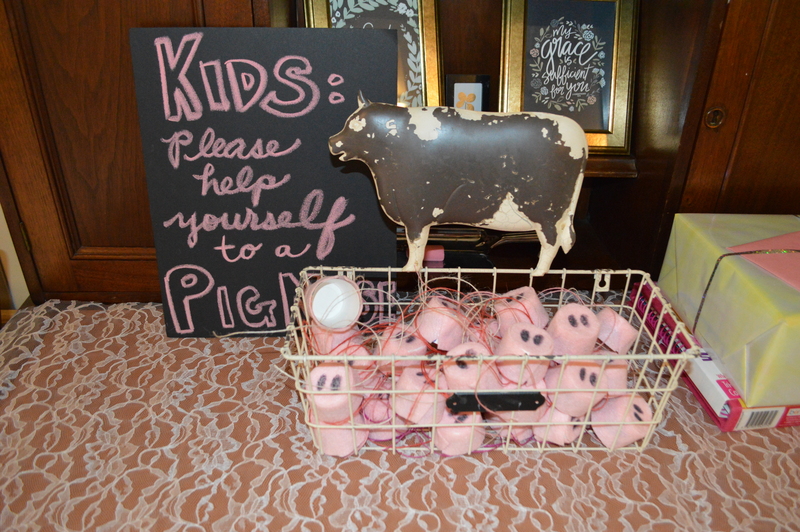 These pig balloons were SO fun. 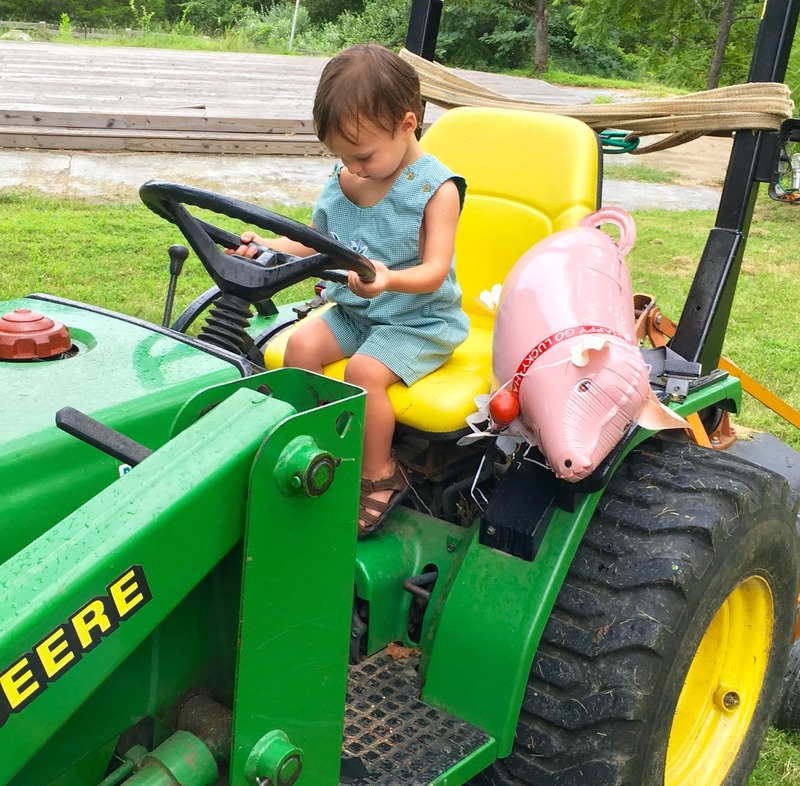 And our next door neighbor’s John Deere was of course a hit with all the little boys in attendance. Which brings us to the best part of the event: the food! We had such an amazing collection of Evie’s favorite foods to eat (which thankfully were quite appealing to the rest of us in attendance as well… you never know what a 4 year old is going to ask for!). When I was pregnant with Evie, I did yoga all the time with a fellow pregnant momma named Ashley East, and we got to know each other through the aches and pains that come with growing a human. Ashley owns a catering company called Dinner at Home, or DaH (www.dahcatering.com) and she made Evie the most delicious foods for her birthday party! 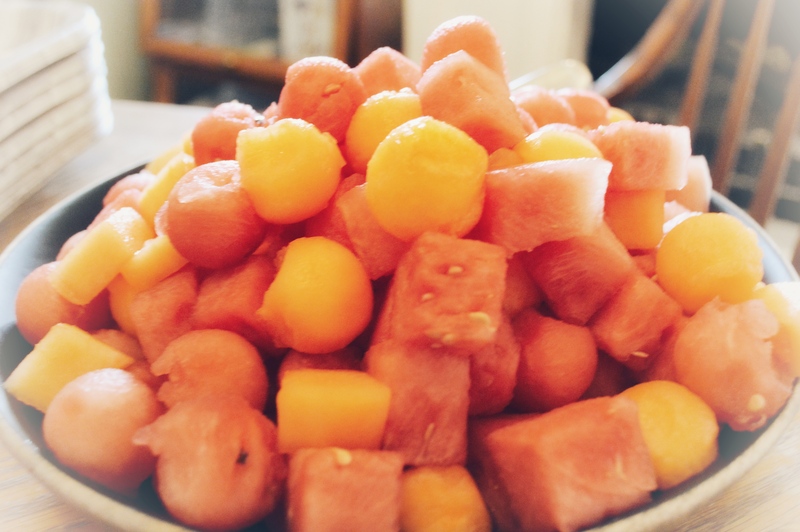 First of all she put together a gorgeous fruit salad comprised of Evie’s favorite fruits: watermelon and cantaloupe, which was a huge hit with all the kids at the party. 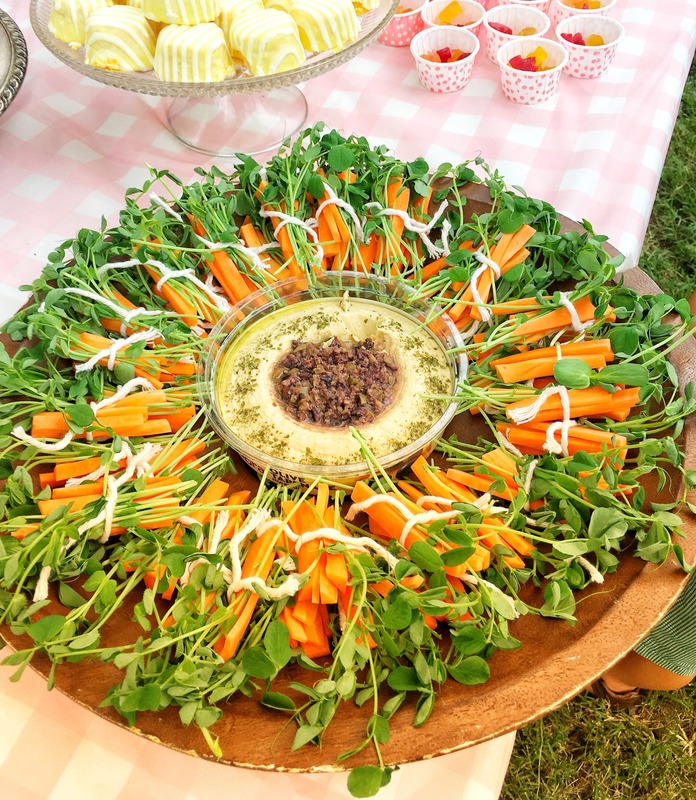 Then she created the most tasty and healthy vegetable tray option: carrots and pea shoots and sunflower shoots, which she tied together with string. We stuck some hummus in the middle and I was delighted with how popular it was! 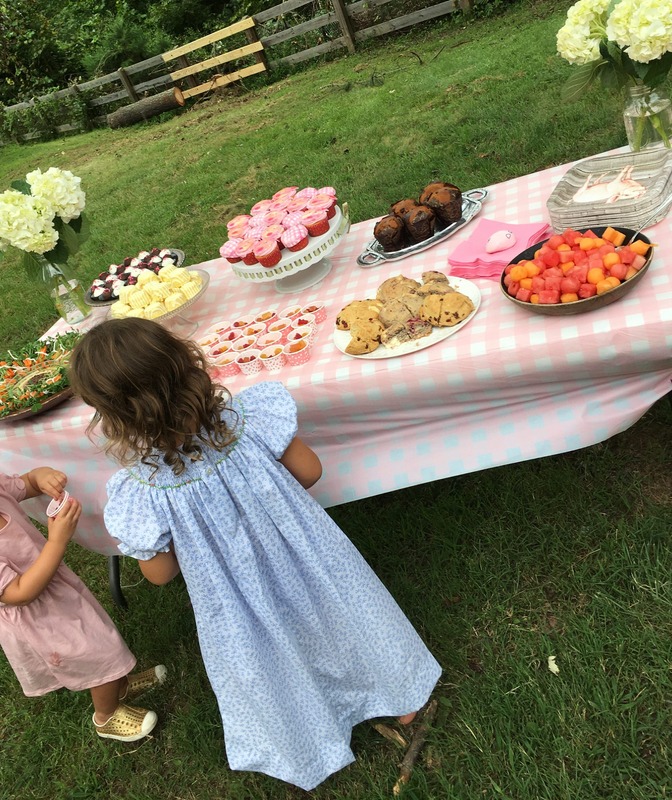 It was so fresh and perfect for a backyard party in August. Ashley told me she picked up the pea shoots and sunflower shoots from the Crozet Farmer’s Market by Crozet Fare (run by Sam Parks). Love local food! As if that weren’t enough, Ashley’s biggest hit were these amazing “sandwiches” she devised out of apple slices and cheddar cheese! She used a local maple syrup in between the slices of apple that is from Still Water Farm (in White Hall, about 10 minutes from our house) and sprinkled the slices with cinnamon sugar. They were seriously, seriously delicious. 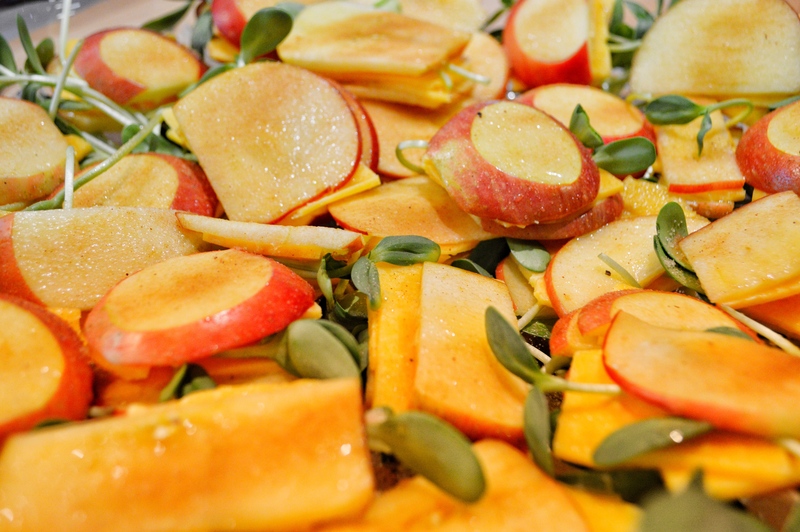 They were so fresh and so perfect for anyone wanting something to nibble. We kept these by the drinks on the back porch and they were gone right away! For folks hankering for something a little naughtier and not-quite-so-healthy, we served “cannonballs” by Sugar and Salt in Palmyra (www.sugarandsaltsweets.com/) and holy cow are these the best things ever. 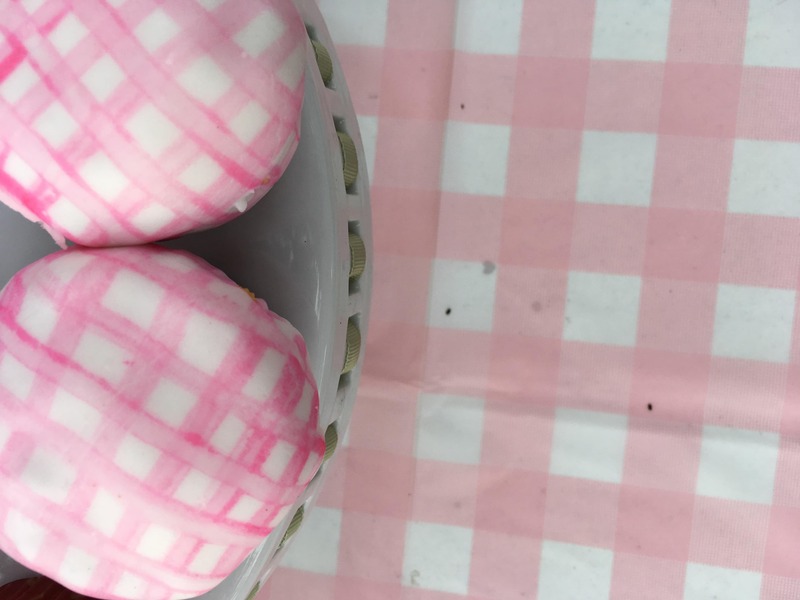 Imagine a bite of cookie dough-esque-fudge-cake surrounded by chocolate or white chocolate, and then covered with pink sprinkles. Words can’t do these things justice. 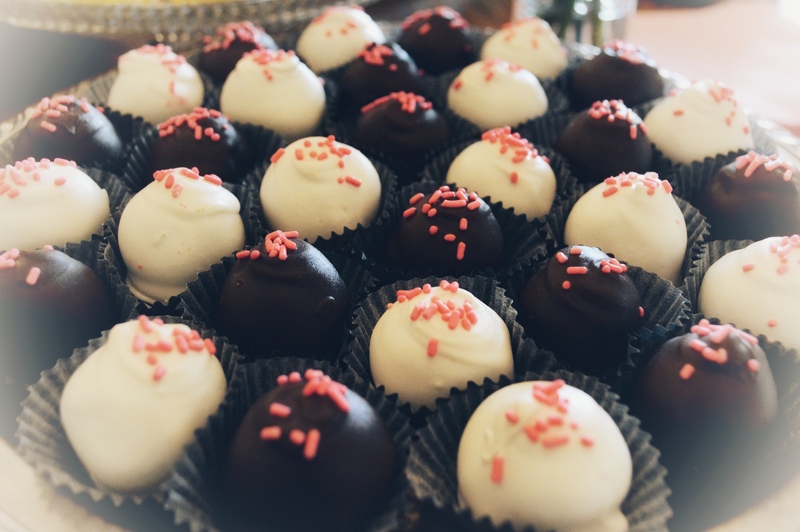 These are understandably not something you eat every day, and that’s what made it all the more special to have them at a birthday party. 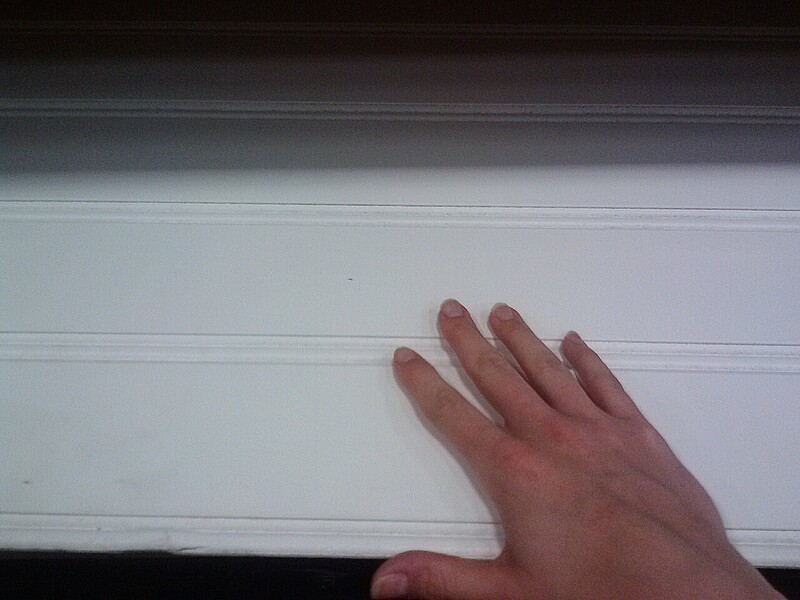 I couldn’t get enough. And we served my personal favorite, their “scuffins,” or scones. What I love so much about Great Harvest Bread’s products are they source their wheat from American farms that do not use glyphosate, meaning people like our little Wilson who are otherwise “gluten intolerant” can eat them with no problems. (We’ve discovered Wilson isn’t alone in his inability to digest American wheat… it’s the glyphosate, or Round Up, that’s sprayed on the wheat before it’s harvested that gives his stomach such a hard time. He can eat wheat from Europe just fine, as well as anything from Great Harvest Bread.) 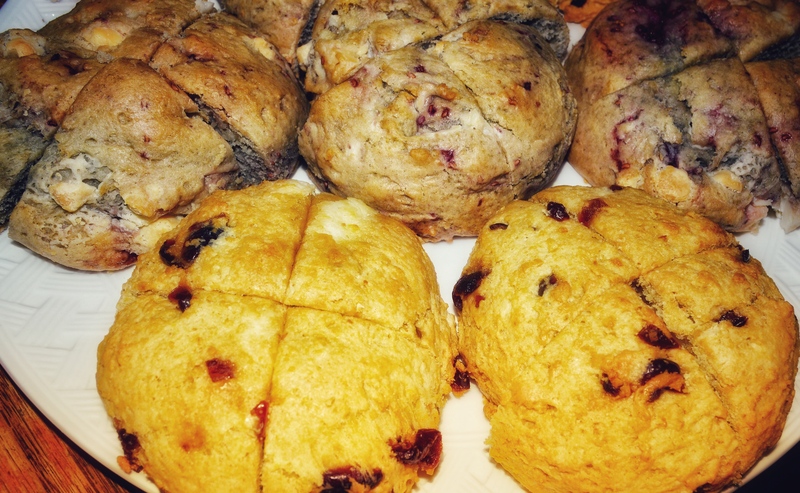 The scones are so big I cut them into quarters but that didn’t stop everyone from eating them all anyway! 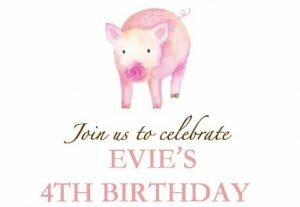 And to get to the piece de resistance: Evie’s birthday cupcakes! 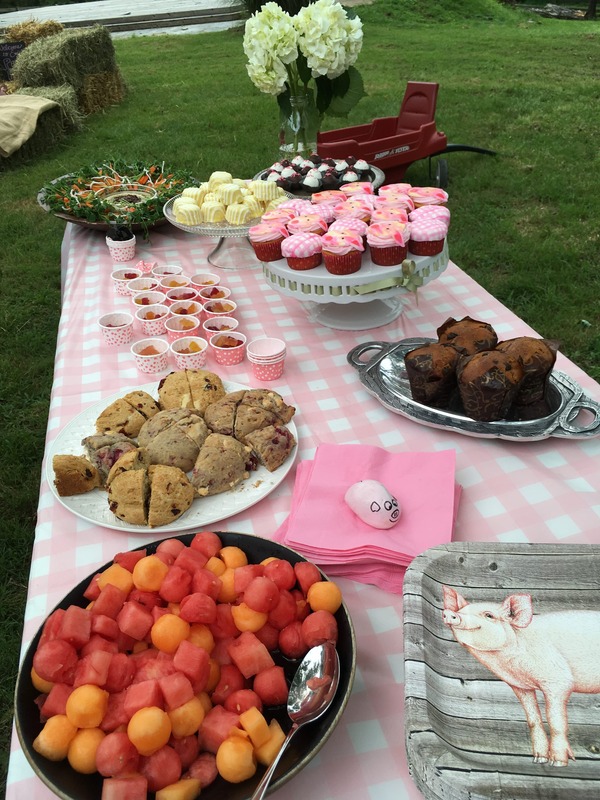 I had asked Tammy to make cupcakes that were both “farmhouse-y” and “pig.” She went with a pig design on some and a pink gingham design to match the tablecloths on the others… success! Y’all. These cupcakes were the sweetest. 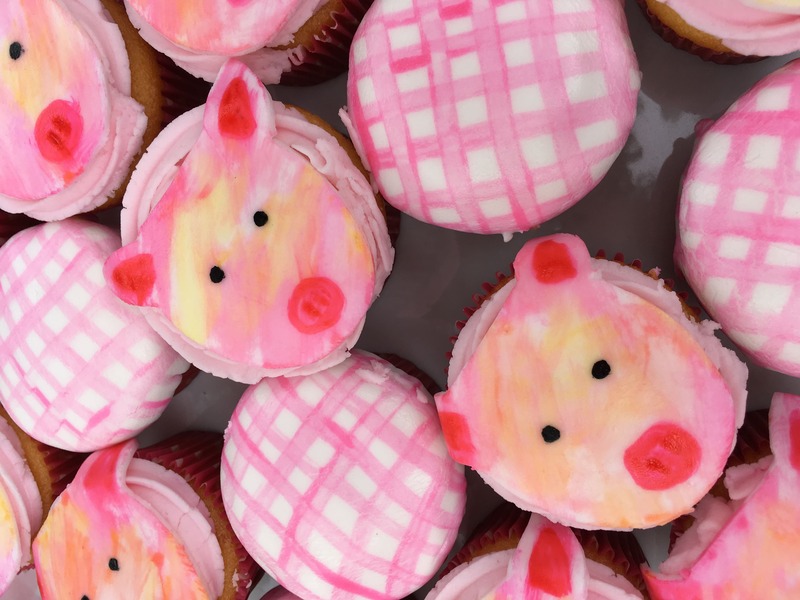 I could not get over how well Tammy of Tammy’s Specialty Cakes and Cupcakes (https://www.facebook.com/Tammyspecialtycakes/) made the pigs. 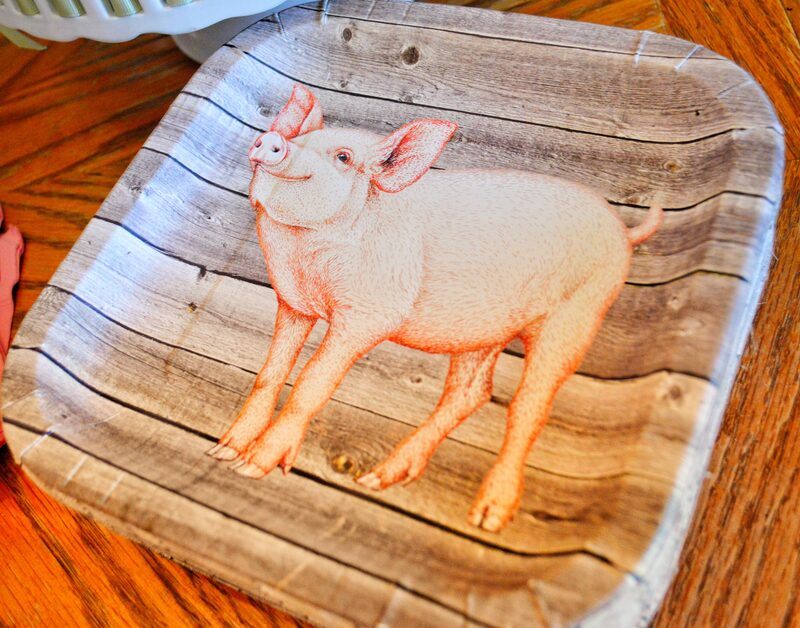 The pig faces perfectly mimicked the clip-art from the party invitation. 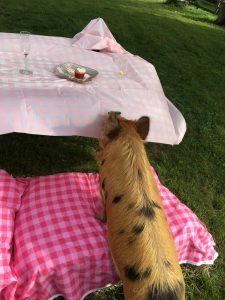 And as if the pig faces weren’t perfect, Tammy got the pink gingham to match the tablecloths exactly. 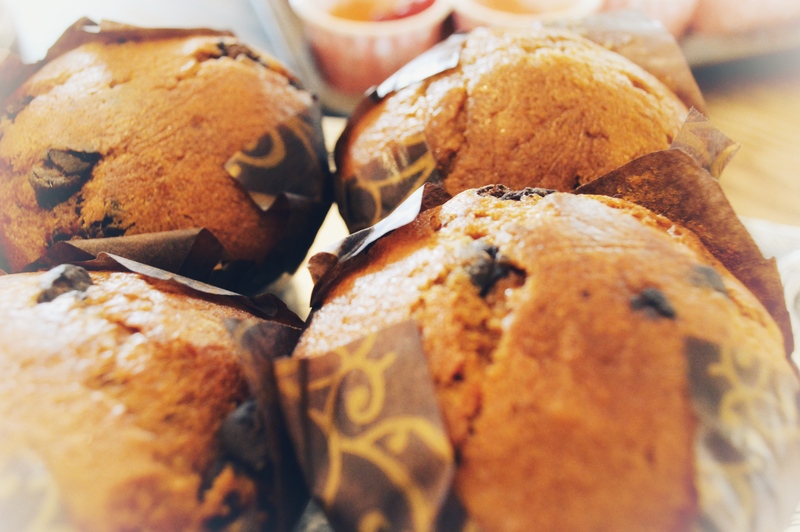 She told me she taught herself how to bake and decorate… she really has a gift. I aspire to teach myself now! I snapped this too-funny picture of Mr. Smee trying to help himself to someone’s cupcake they errantly left for the taking on a table. Ohhhhh Smee!